AccuExam the digital eye exam by LensCrafters optometrists is now available in Ohio! Dr. Richard E. Hults & Assoc., Inc. has just begun providing AccuExam digital eye exams. Only about 100 eye doctors currently offer this multi-faceted advanced technology, and our Practice in Ohio is among them. It enables us to provide the most accurate, patient-friendly eye exam available. Designed to be integrated with Lenscrafters Accufit system and digitally created eyeglass prescriptions, this new advanced eye care is a welcome new addition to our eye care services. The LCD Acuity Chart System of the future is here today! Utilizing digital technology that provides sharper edges and uniform brightness for a more accurate visual acuity evaluation, this new equipment incorporates all the advanced features of automated eye charts, including stereo testing options for binocular vision exams, randomization to prevent patient memorization, and contrast sensitivity testing measuring at three distinctive levels below the normal threshold. Macro-Certified Quality ensures the very finest in vision products, with an emphasis on exactitude. The LM-600 is part of the new lens meter series, which provides an accurate computerized measurement of your current glasses to provide you with a side by side comparison of how your prescription changed and how you will see through your new glasses. 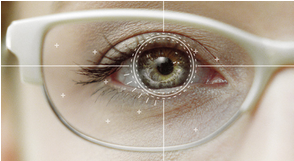 The Total Refraction System enhances the patient experience by providing a faster, more modern eye exam. TRS-5100 features speed, specificity, simplicity, and security. The TRS-5100 generates extremely accurate and reliable refractions, eliminating errors, so you don’t have to sweat the “better 1 or better 2” decisions. The new ergonomic design is compact, covering less of your face and offering increased comfort. The eye exam can also be carried out faster, and it is integrated with our Optometric Practice’s electronic medical records (EMR) so we can keep your history on our digital file. That means we can spend more time with the patient, giving you the attention you deserve.